This example demonstrates a simple method for how you can connect your Console Application written in C# to an IP camera and display the captured image of the IP camera on a website. To implement this example, you need to have OZEKI Camera SDK installed, and a reference to OzekiSDK.dll should be added to your Visual Studio project. 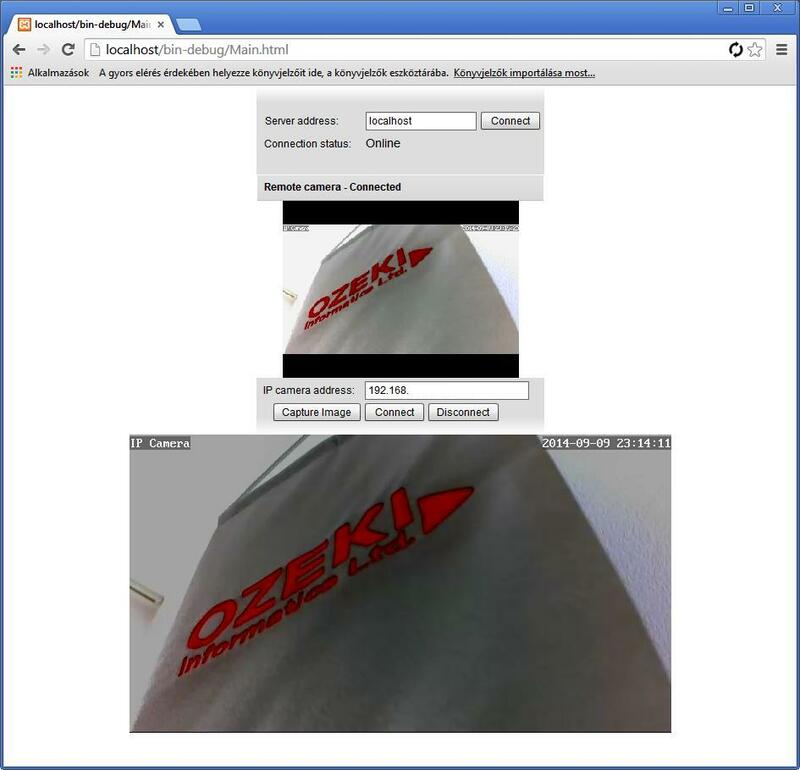 Finally checking the image of your IP camera on your internet browser. Please check our previous tutorial for a more detailed description of how to build a solution for streaming your camera's image to a website. Important: you should study this article in order to find out how to setup your Console Application correctly. In order to make your application work properly you should add two more new references to your project in the Visual Studio IDE: System.Configuration and System.Drawing. You can do this in the following way: please right-click on the References, choose Add reference from the pop-up menu, then you should look up the mentioned references on the .NET tab and add it to the other. In this tutorial the application will be expanded from the previous example. You should download the new flash-based content which you can find at the top of the page. After the successful download you should overwrite with them the old files in the htdocs folder of the XAMPP application. Using the code you can see below will upgrade the application for taking snapshots of the actual image of the camera. Please check this example to get more information about the code sections in connection with the snapshot feature. After installing the webserver, building the project and running them, the graphical user interface of your website will look like this. My Apache HTTP server does not work. Why? If you use Skype it occupies the port number 80 from Apache. Please close Skype.